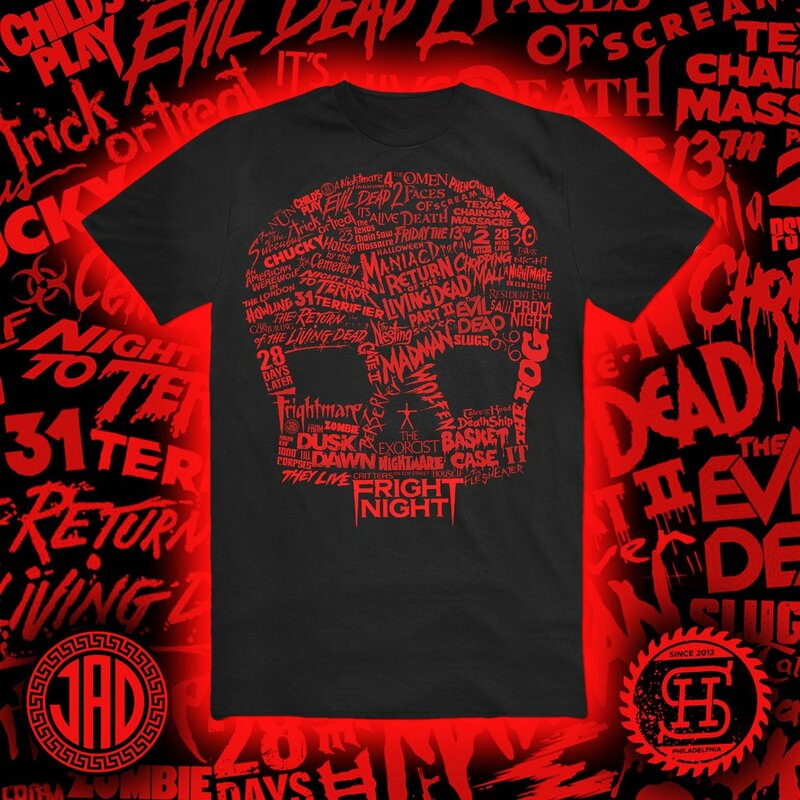 Studiohouse Designs embodies a love of horror and art and have just unleashed their newest creation with the help of Jad Dovey… TITLES OF DEATH T-SHIRT. Printed on 100% black cotton with numerous horror film titles splashed across the front that form a ominous looking skull. 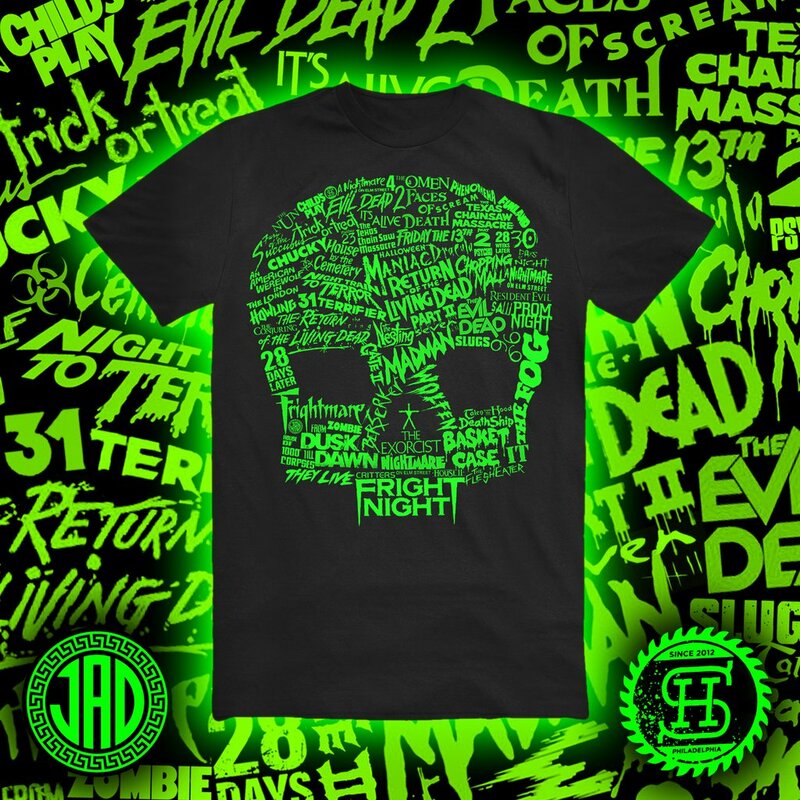 The shirt is available in two different skull colours, toxic green and blood red, and sizes ranging from X-small to 3Xlarge. Head over to Studiohouse’s website to view all the different inventive horror merchandise that is available for purchase.